Since I’ve been known to be a bit fond of shopping, researching where the fashionable gentlemen in my books might go to outfit themselves kept me occupied longer than it probably should have. I’ve gathered together all my notes and decided to share the highlights with you here. During the Regency era, London tailors were considered the best in Europe. Any man who was interested in presenting himself as an arbiter of taste, let alone one of the Dandy set, knew he needed to shop in London. Two of the best-known tailors of the day were Schweitzer and Davidson of 12 Cork Street and John Weston, located at 34 Old Bond Street. Weston was known to be the most expensive tailor in London and a favorite of Beau Brummell and the Prince Regent. Boots were what the fashionable man wore during the day. Hoby, on the corner of Piccadilly and St. James’s Street next to the Old Guards Club, was known as the finest boot maker in London. Their clients included George III, the Prince Regent, Lord Byron, Beau Brummell, members of the ton, and many officers in the army and navy. The Duke of Wellington thought so much of George Hoby that he worked with the boot maker to modify a Hessian boot to his specifications. In 1817, the Duke instructed Mr Hoby to cut his boots shorter and make them tighter. He wanted the trimming removed and the “V” shape straightened out. This new style of boot became the iconic Wellington boot. 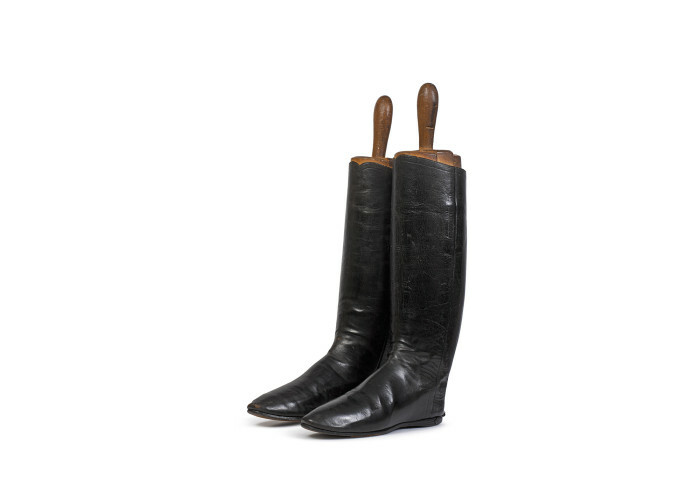 Wellington boots made by Hoby between 1817 and 1852. 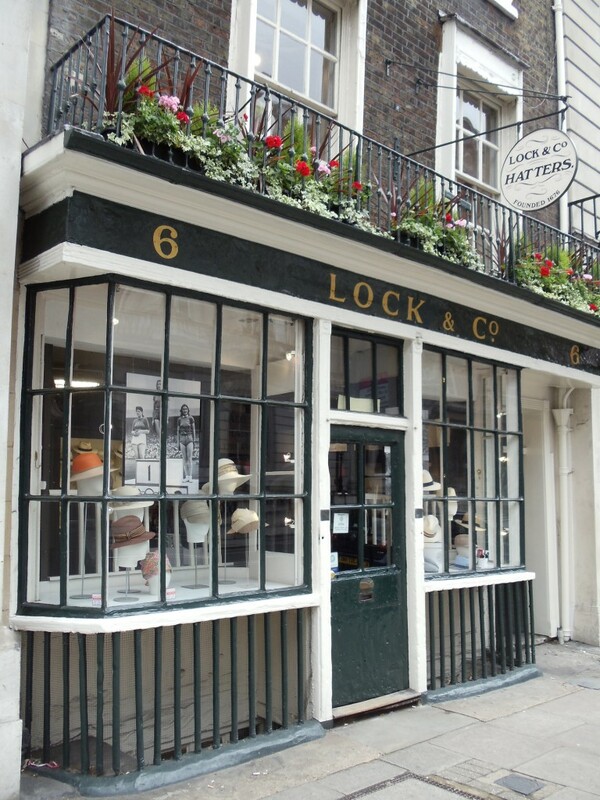 For his beaver hat, a man of fashion could go to Lock & Co Hatters (1676-present) located at 6 St. James’s Street. Lock made hats for Lord Nelson, as well as the plumed hat the Duke of Wellington wore to Waterloo. They also made military helmets for officers in the Hussars and Royal Dragoon Guards, and the folding chapeau-bras gentlemen wore to Court or to Almack’s. Lock & Co. is still in existence and continues to make hats of the finest quality. Across St. James’s Street, a gentleman could venture into Harris’s Apothecary, which was originally located at Number 11. Harris’s opened in 1790 and established a reputation selling Lavender Water, Classic Cologne and English Flower perfumes. They also were known for shaving supplies, soaps, and creams. The company is still in operation, and today you can find them down the street at Number 29 under the name D.R. Harris & Company. 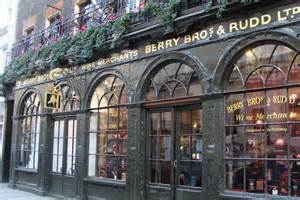 After a day in the shops, a gentleman might continue on to Number 3 St. James’s Street, where he could stop in Berry’s for a bottle of his favorite port. Berry’s was established in 1698 as a grocer. In 1810 the owners began to focus more on wine. Beginning in the late 18th century, it became fashionable to be weighed by the shop’s weighing scales. Such notable names in Berry’s weighing books include royal princes, Lord Byron, Beau Brummell and William Pitt the Younger. In the 1940’s the name changed to Berry Bros. & Rudd and that name is still used by the shop today. Beneath the tavern front was a range of low-built shops, including that of Flex Rowland, the fashionable hair-dresser, who made a fortune by the sale of his macassar oil. If a gentleman had a penchant for watch fobs, rings, and snuff boxes, he would certainly know about Rundell, Bridge, and Rundell Jewelers, located at 32 Ludgate Hill (est. 1788). They were the principle jeweler and goldsmith of the Prince Regent. Other prominent jewelers of the day included Phillip’s on Bond Street, Gray’s on Sackville Street, and Jeffrey’s. 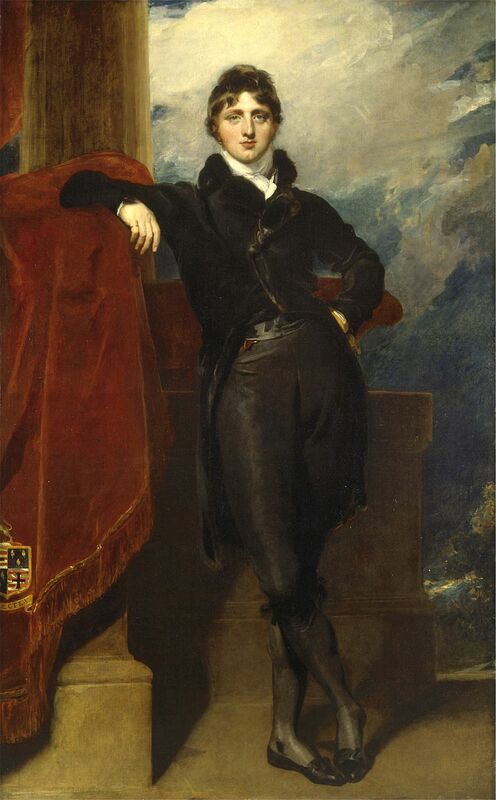 The Prince Regent was so fond of Jeffrey’s that at one point he owed the jeweler £89,00 in unpaid bills. 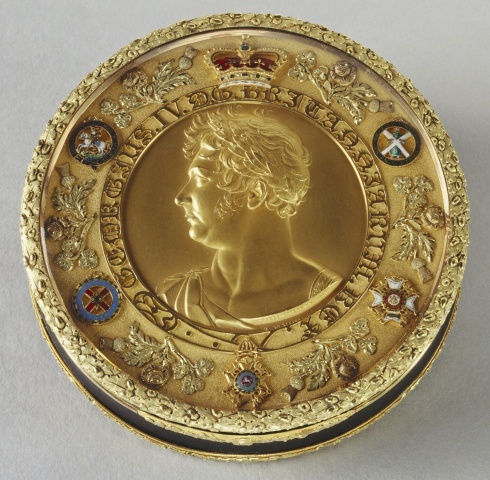 Gold-mounted tortoiseshell snuff boxes, supplied by Rundell, Bridge & Rundell, were a favorite royal gift. The richness of their decoration varied according to the status of the recipient. Rundell’s accounts include a number of boxes of the type shown below. A similar tortoiseshell box was sold by Rundell to George IV in 1821 for £81 18s. 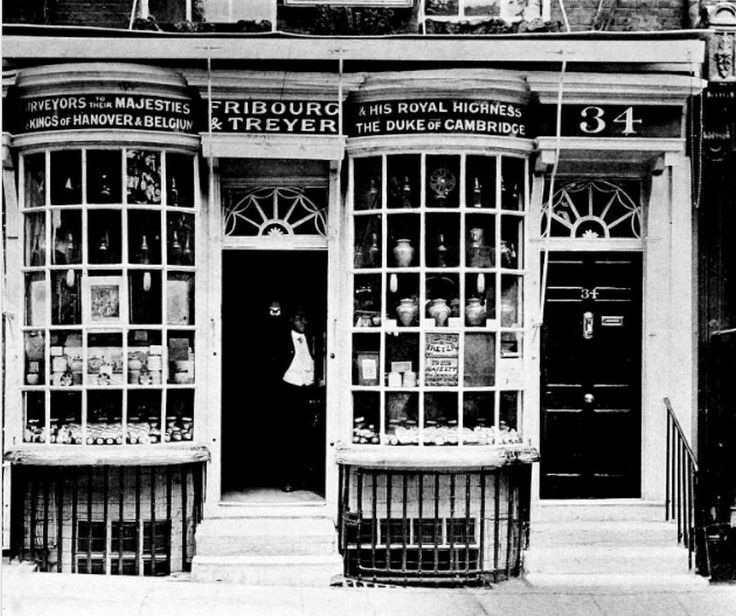 To fill up his snuff box, the fashionable gentleman would visit Fribourg & Treyer in Haymarket (1790-1981), known throughout London as the purveryor of the finest snuff in Town. One of the best parts about researching these places was seeing how many of them are still in operation. I had visited a few of them the last time I was in London, and now I have one more to see the next time I’m in Town. It’s wonderful to be able to enter a store and know that you can still shop like a Regency gentleman. If you know of other London shops from the Georgian era that are still in existence that might have appealed to a fashionable gentleman, please post a comment and let me know. I’d love to add them to my list. Irvin, Kate. Artist, Rebel, Dandy: Men of Fashion. 2013. What fun to read this and dream of those gentlemen decked in their finest. And to think some stores still exist! Great research. Well done!! Someday I will make it to London and I already know I will be charmed. Thanks, Sammy. It is a charming place. I find it hard to leave each time I’m there. What awesome information! I love this kind of stuff! I have a book called “The Epicure’s Almanack” by Ralph Rylance (1815), ed. by Janet Ing Freeman (copyright 2012). In it, Rylance describes where to eat, drink, purchase food/sweets, and have tea throughout London. There are over 600 entries in the original text by Rylance with commentary from the editor. It includes a variety of places, from fishmongers, sweet shops, taverns, pubs, chop houses, hotels, coffee rooms, confectioners, etc., broken down by area. You literally can follow along with a map and see how he progressed up one street and down the other. Some places still in business today include The Goat (no. 3 Stafford St, north side) and The King’s Head (SE corner of Stafford St. and Albemarle St). Also, the Cavendish Hotel (in 1815, it was called Miller’s) at 87 Jermyn St.
An interesting note: Rylance refers to White’s Gentleman’s club as Martindale’s Subscription-house, still at nos. 37-38 St. James’s St. According to the editor, John and Benjamin Martindale owned the club successively, but Benjamin was declared bankrupt in 1812. Still, “the Martindale name continued to be associated with the house for some time” although the ed. does not specify for how long. Obviously, Brooks’s is still in business, too, in its same location on St. James’s St. Not a place to shop, but as we all know, a very popular hang-out. It’s a great book! I’ll have to go through and add places to the Regency Map! I hadn’t thought of it as a resource for the project, but of course it’s perfect. Isobel, the map you’re creating with locations of people and notable places of the Georgian era is such a helpful resource. Will the link be available on your website? Please feel free to post it here in the comments section. I’m sure many people would find it interesting. I think English tailors are still considered the best. Men were far freer to visit the shop of their dreams and to buy whatever they wanted themselves. Women of the same class could visit the shop themselves, or they would have to rely on the salesperson bringing the material/finished product to their home. And if I was buying rings, snuff boxes or watches, I would certainly want to be visiting the jeweller’s shop myself. Or several jewellers! I’m glad you enjoyed the post. The English aristocracy during that time frequently lived on credit. It’s a wonder that merchants were able to support themselves with the amount of money they must have been owed. I just want to jump into the post, blend in with the crowd and start shopping! I can’t believe you weren’t a history teacher with ur knowledge of the time. I am more partial to men wearing hats but someone (Benson) has peeked my interest to include men and their boots. Thanks for blogging. Thanks, Mia. There is just something about a man in boots… 😉 Glad I’m sparking an interest in history. There are tons of stuff I’m still learning about the Georgian era, and I’m having a blast doing it. 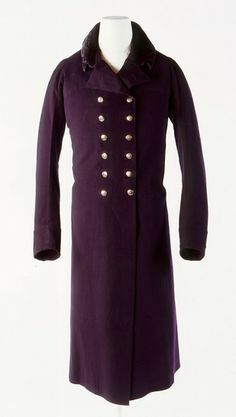 Those interested in gentlemen’s tailoring of the period might be interested in my blog at https://prinnystaylor.wordpress.com/ and the book I have written on the subject. Thanks Laurie! Paperback is still proofing but it should be available soon! My husband says this would be a great guide for walking tours…fun and interesting! Cheers!